I had the amazing opportunity to sketch concepts and layout options to express our keywords of New, Innovative, and Fun. 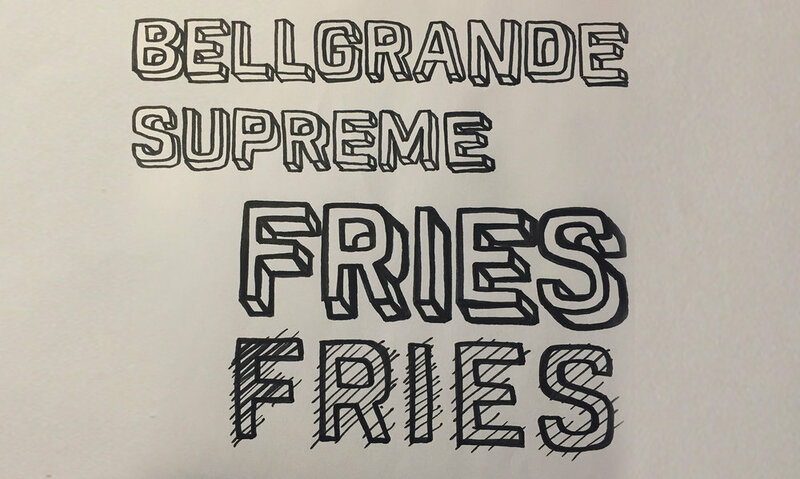 Alex, the Art Director I worked closely with, and I created hand-drawn typography for the campaign for a unique look-and-feel. 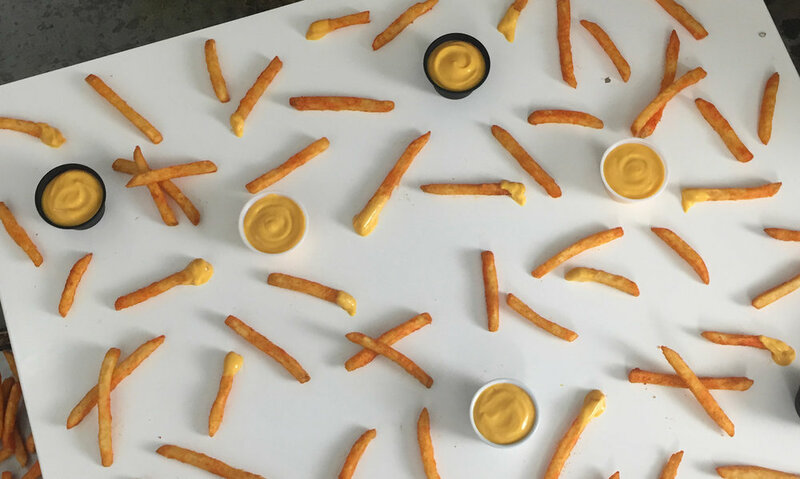 We presented many options, but ultimately, our Marketing team agreed on a white background because it helped keep the focus on the seasoned fries. I kept in mind the full in-restaurant and drive thru experiences: From driving or passing by Taco Bell, interacting with team members, to eating the last bite and throwing the trash away. This user-centered approach helped me explain our design decisions to team members. For example, our reversed-out title treatment helped with hierarchy and readability. The Marketing team provided circular feedback to change out the background color. I learned to take the approach of “asking ‘Why’ five times” to get to the root of the issue; we learned that all of the strong background color options in the design (to exhibit “Fun”) were competing with the prominence of the product. We ended up utilizing a white background and adding realistic shadows so the focus of the design was on the product.